Rosti Mepal Volumia dish is a handy all-round bowl, which is spacious, practical and decorative. 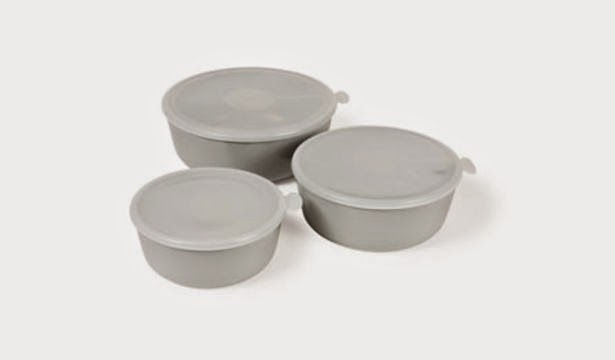 It can be used for food storage in the refrigerator and dry goods in the kitchen cupboard. 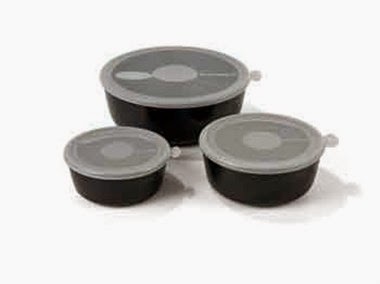 Available in several sizes and colors, so there is a dish for every application and taste. Melamine has the good properties in relation to the plastic that holds its shape even when heated, which is a great advantage for cooking. Melamine is suitable for the dishwasher, but cannot be used in microwave and freezer. 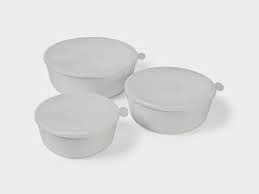 The lid is made of PE plastic, and it is recommended that the cover be washed in the top tray of the dishwasher as the location close to the heating element can change the lock form. Measurements: Set containing 1 liter, 1.5 liter and 2 liter bowls.